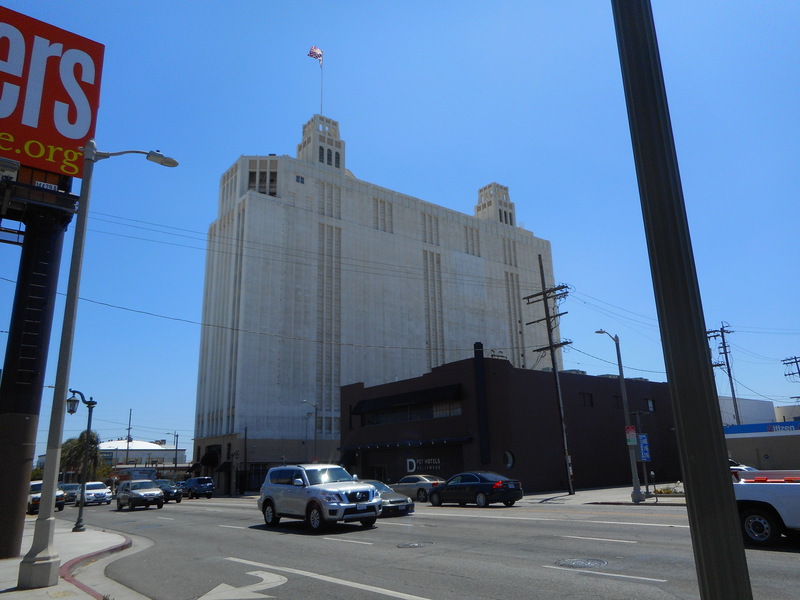 An article in The Los Angeles Times from September of 1925 stated that the erection of the Hollywood Terminal Warehouse was progressing at a very fast rate. 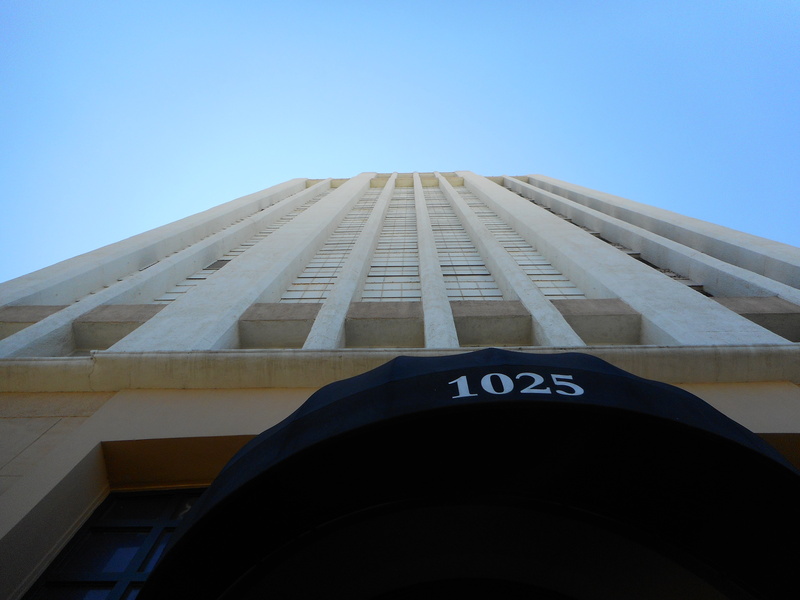 Seven floors had already been constructed and the building would eventually top out at fourteen stories despite there being a twelve story height limit in Los Angeles. The article claimed that “because of the nature of the construction” the fourteen stories would meet the city’s twelve story height limit but the article doesn’t describe specifically what is meant by that phrase. 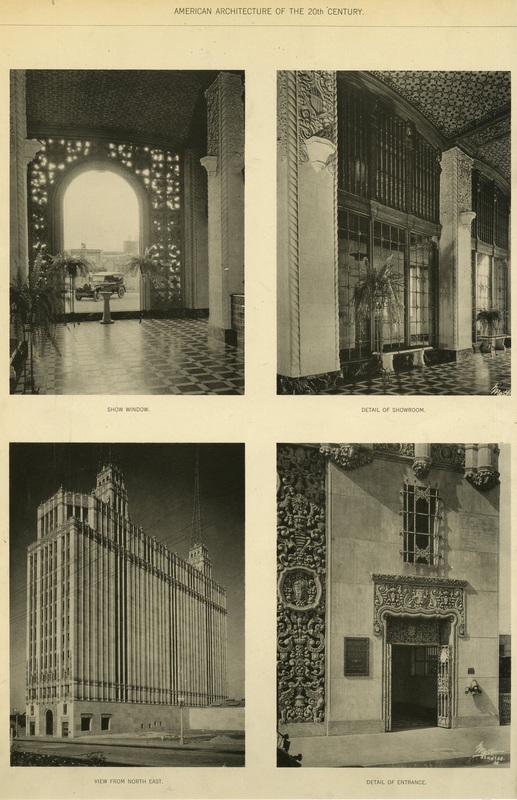 In the same paragraph it does mention that there would be a radio station, with two antennas, on top of the building which required a special permit and elsewhere states the Hollywood Terminal Warehouse (also known as the Hollywood Terminal Building) would be the tallest building in Los Angeles. I’m guessing it was the antennas that took the building up to fourteen stories. The estimated cost of the building was $500,000. 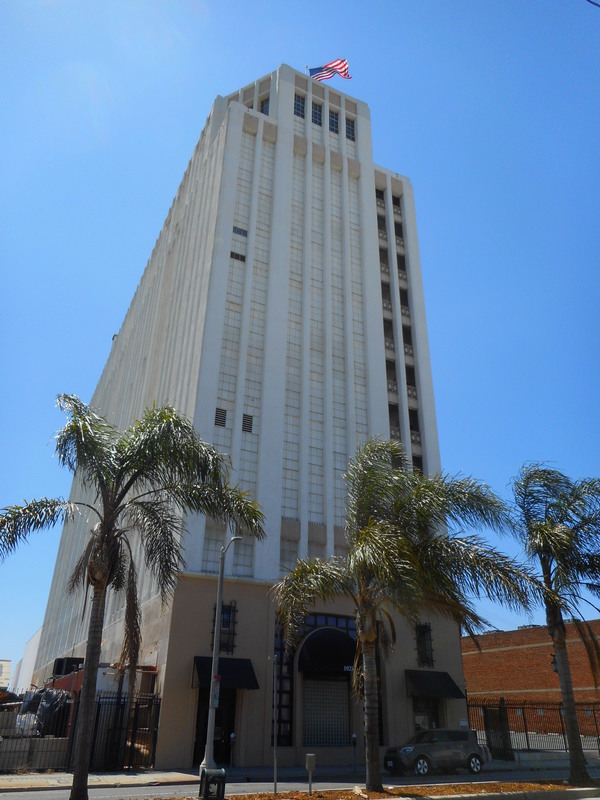 The building was developed by the C. E. Toberman Company and was built by the Hollywood Fireproof Storage Company. 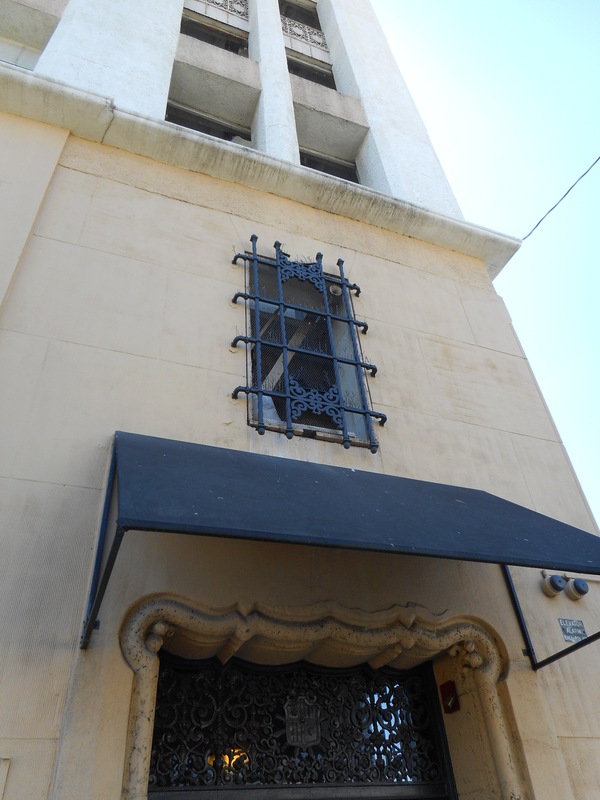 Charles A. Reinhart was the manager of Hollywood Fireproof and he stated the building would be a storage facility along with providing separate office and showroom space for lease. Reinhart stated that the building would have fast freight and elevator service and railroad connectivity through a spur track. While the building was slated for completion in February of 1926 the grand opening didn’t take place until June of that year. The final cost of the building was $750,000. For the opening there was a small orchestral concert in the afternoon from 3pm to 5pm and later that evening, from 8:30pm to 10:30pm, there was a full blown concert in the building’s lobby featuring “dramatic tenor soloist” C. Howard Paxton. 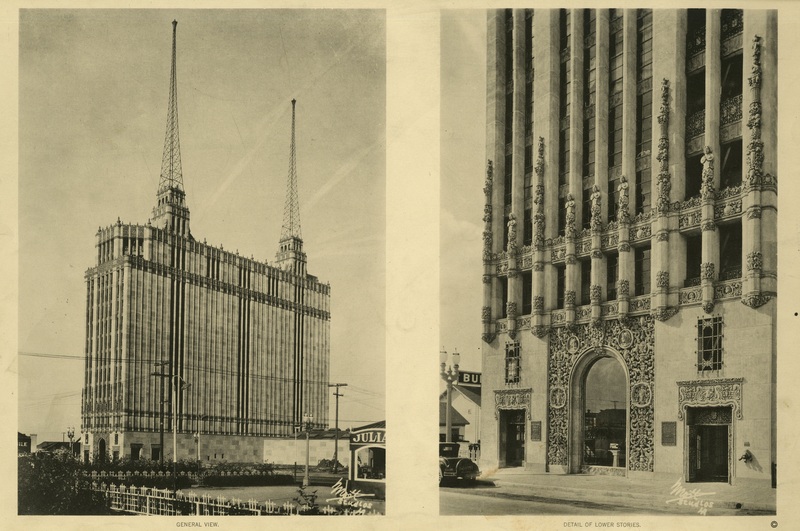 Not only was the Hollywood Terminal Warehouse the largest warehouse on the Pacific coast but because of the 150-foot radio towers it was also the tallest building in Los Angeles. This is what the building looks like today. There used to be decorative plaster work around the middle glass arch. It’s been replaced by those glass blocks. This is stranding in the center of the building and looking straight up. Grill work inside one of the entrances. Grill work above the door. It’s a huge building with nothing of similar height anywhere around. 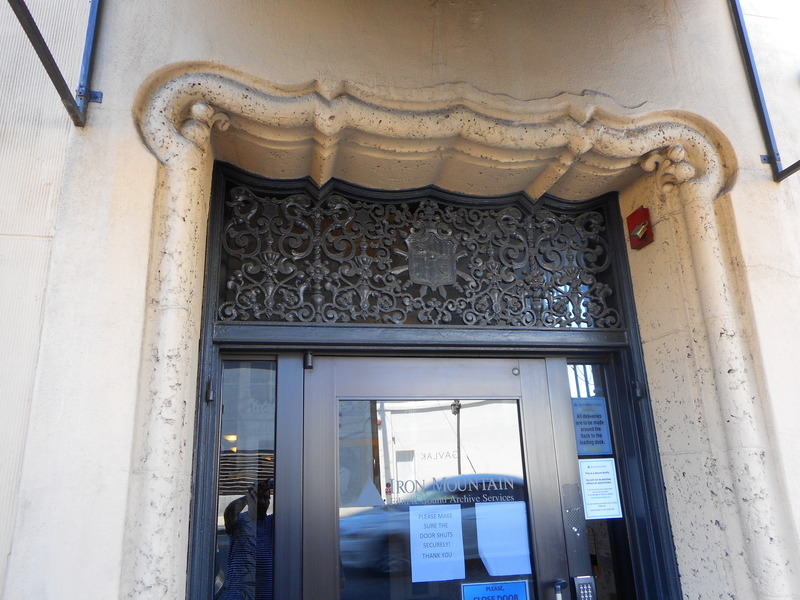 Photos of the building from when it was new follow. 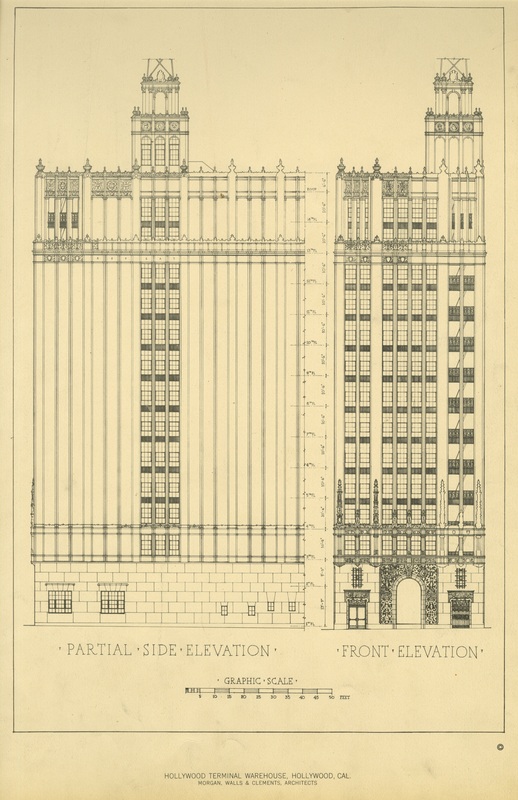 This and the following three images are from a 1927 book called, American Architecture of the Twentieth Century. I don’t know how anyone could think removing all the plaster work around the doorways and that large front window would be an improvement. Note: I have a book coming out in the latter half of 2018 from The History Press titled: The Architects Who Built Southern California. 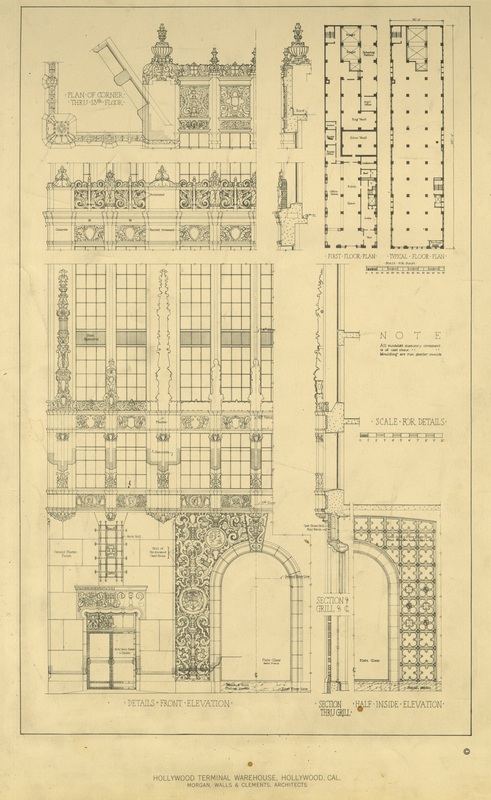 It will be about 10 different architects (architectural firms) including: Harrison Albright, John Austin, Claud Beelman, Elmer Grey, Hudson & Munsell, A. C. Martin, Meyer & Holler, Julia Morgan, Morgan Walls & Clements and Alfred F. Rosenheim. New terminal building opened with concerts. (1926, June 19). Los Angeles Times, p. 6. Reagan, O. (Ed.). (1927-1929). American architecture of the twentieth century. New York: Architectural Book Publishing Co., Inc. Rush terminal building. (1925, September 27). Los Angeles Times, p. E11.